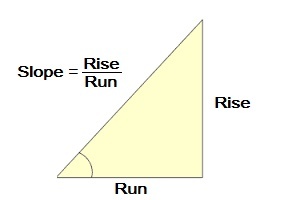 Find the percent of a slope (rise over run) with this Slope Percentage Calculator. How do you find the percent of slope using rise over run? Calculated out this gives an angle percentage of 60%.